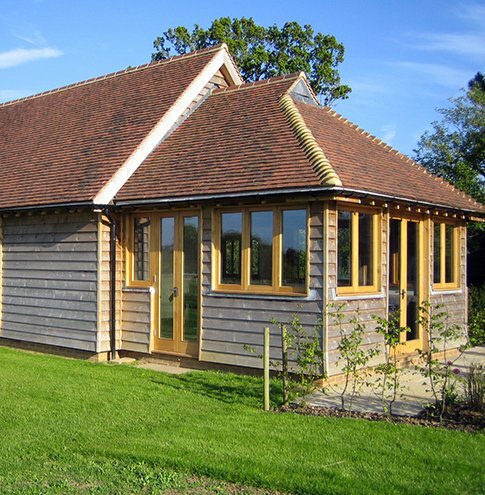 The external appearance of your building can be designed to blend in with it's surroundings by using materials or incorporating individual features that compliment your property or grounds. The design can be sympathetic to the surrounding environment or can be be bold and creative and become a focal point, whatever you think is the most aesthetically pleasing. The foundations can be made from Dwarf brick or stone. The walls can be clad in softwood or hardwood boarding. Any number of windows and doors can be added in any place that suits you and the roof can be finished in plain tiles, slate or even thatch.